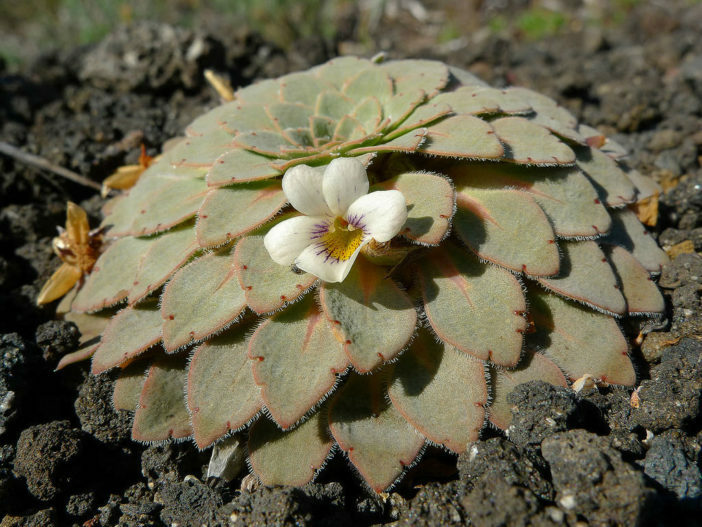 Viola volcanica is a small, stemless annual or short lived perennial plant, remarkable for its neat, dome shaped rosettes. 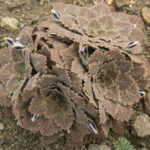 The beautifully textured leaves are semi-succulent, with scalloped hairy margins, sand to ocher in color, often with violet tones. 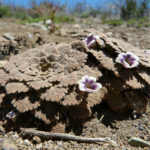 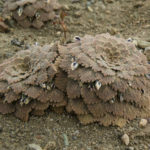 The flowers, barely emerging from the rosettes, are small, up to 7 inches (1.8 cm) in diameter, white with violet veins. 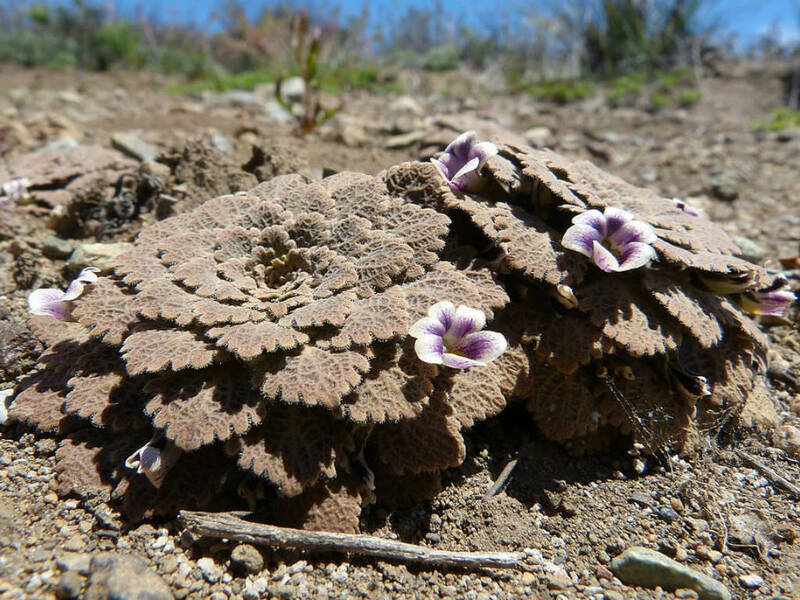 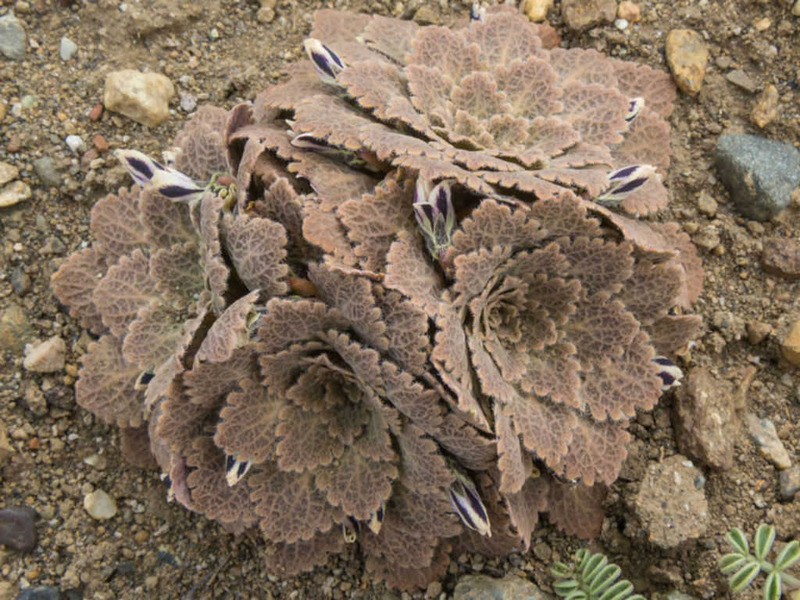 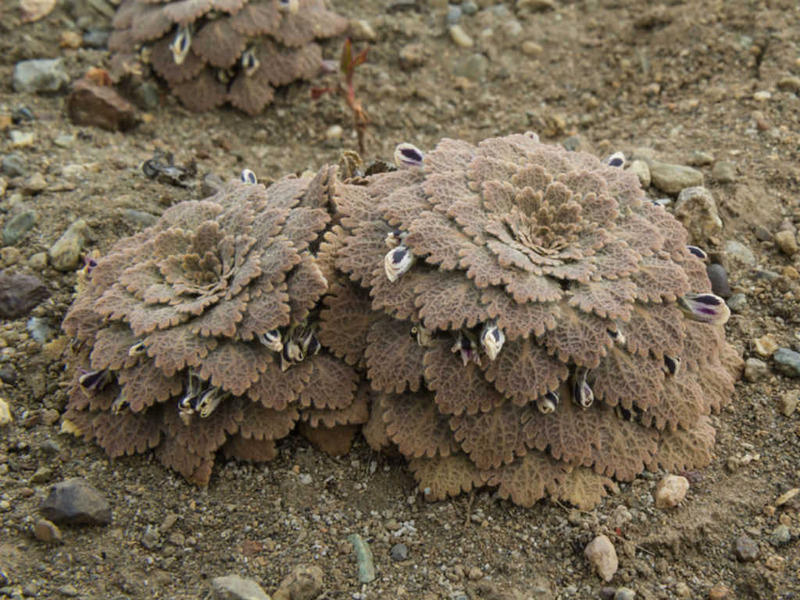 Viola volcanica is endemic to Chile and Argentina.